Serving suggestion - along with any vegetarian curry and rice. 1. In a bowl soak the toor dal and channa dal for 1 hour. Later discard the water completely and grind along with red chilli and fennel seeds into a course mixture. 2. In a idly plate place this course mixture and double boil for 7 minutes until cooked. 3. Crumble this mixture and set aside. 4. In a pan heat oil. Splutter the mustard seeds, urad dal, curry leaves and add in the finely chopped cluster beans stir fry and cook covered for 5-6 minutes until cooked. You can sprinkle water for even cooking. 5. Add in the turmeric powder, salt and the crumbled lentil mix and stir well. 6. Check for salt and serve warm along with rice and your favourite curry. 1. 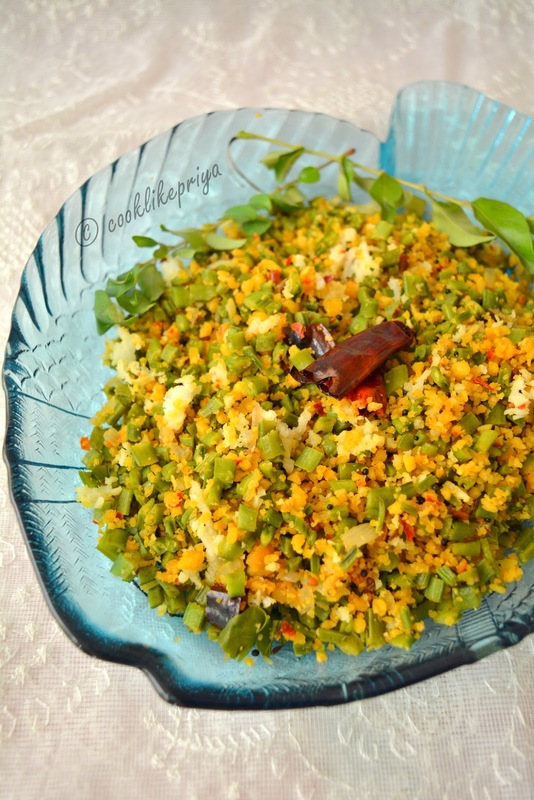 Make sure that the cluster beans are finely chopped, this helps in fast cooking of the vegetable. Some people boil the vegetable for even cooking, but I prefer steam cooking them as the nutrients are intact. 2. While grinding the lentils make sure there is no water and the mixture is coarsely ground. 3. For steam cooking the lentil you can also form balls and place them on an idly plate or just sprinkle them and stem cook. 4. 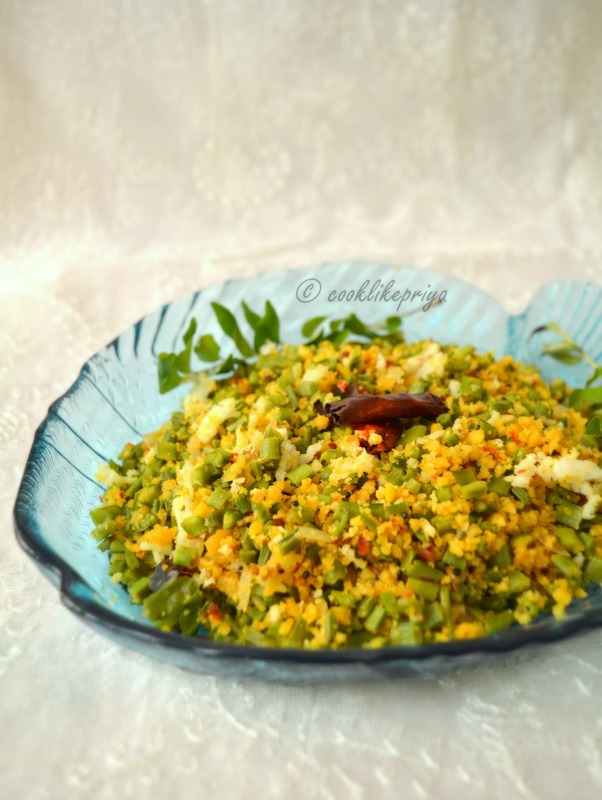 The same recipe can be used to make vazhaipoo usili, beans usili and so on. I tasted usili for the first time today as my colleague brought it for lunch..its actually a keeper and different ti the usual way if consuming lentils..we are need diff tastes asa much as possible for the tongue after all! May be we can making some dumplings out if this and call as healthy lentil koftas?